A beam splitter can be used to separate entangled quanta (Credits: Quantum Optics and Quantum Communication). Developments in quantum entanglement research may mean satellites hold the key to encrypting communications here on Earth – using a preliminary form of teleportation. 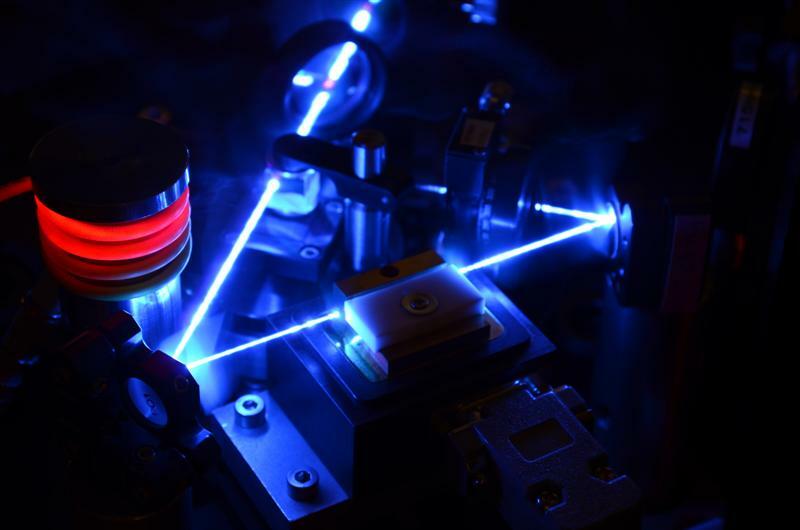 “If we can use correlations between entangled photons to establish a quantum key, it could be used for secure communications,” University of Waterloo associate professor Thomas Jennewein told Scientific American. A quantum key occurs when two entangled quanta, such as two photons, are separated from each other. Although physically in different locations, the photons are still connected and so must have the same properties when measured at any given time (for those following along at home, this is the Heizenberg Principle at work). This state of affairs lasts as long as each photon does not undergo further interactions. Therefore, someone who sends a message accompanied by one of a photon pair, should be able to check whether the message has been intercepted by comparing the received photon with the unsent pair. Any difference between the photons’ states indicates something happened to the sent-photon along the way. This whole process doesn’t work very well on Earth; the quantum signals experience too much scatter during transmission. But in the vacuum of space, scatter is a much less significant factor. Jennewein and others want to design a satellite to send two streams of photons, one photon of each entangled pair in each stream, to two ground stations trying to communicate with each other. The stations compare photon properties: if properties match, the transmission is secure and has not been intercepted. The stations can proceed to transmit their real message. The application of this esoteric bit of physical theory to securing communications comes at a time when cybersecurity is a paramount concern, with new breaches reported in a steady tattoo and seemingly no way to completely protect against them. Quantum entanglement offers an impossible-to-hack security option: there is no way to copy the quanta, or intercept the key undetected. Apparently, several government organizations are already working on putting this technology to work, so be on the look out for quantum teleportation at a spy agency near you.